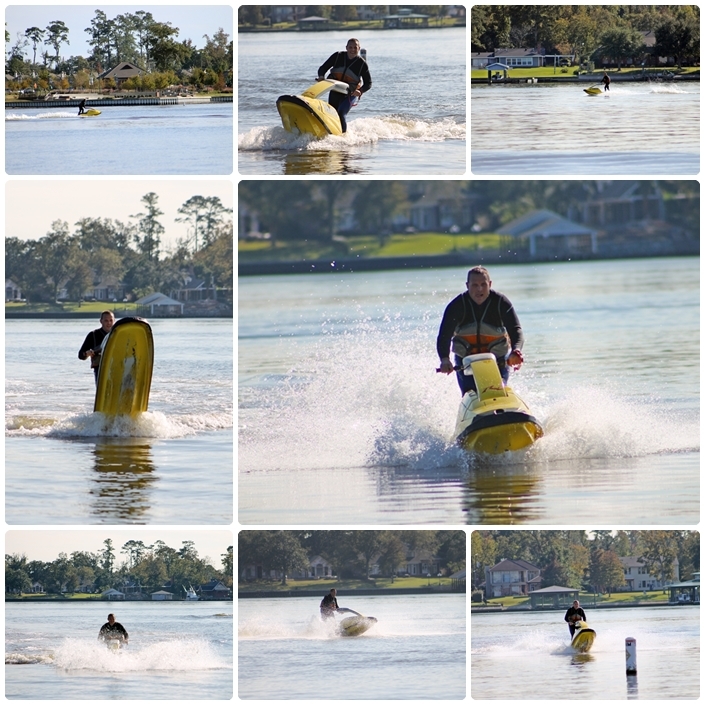 We bought a used jet ski recently that needed some work (the stand up kind.) Don and some buddies have concocted a plan to buy used stand up skis, fix them up, and re-sell them. Oh, yeah. And they have to try them out first. To make sure everything is running right. Don’t be deceived by the photos. It’s tricky. There is a lot more skill and balance required to maneuver a stand up ski but the boys are having a ball figuring it out. I have not tried it yet but I will. Sort of related and absolutely crazy!